Smart Talkers:Talking about children's communication from Small Talk SLT: What does a speech and language therapist do? I've just read a post on Netmums asking for advice about a 2 year old. He has been referred to speech therapy but she doesn't think it's a good move because he doesn't talk. There were similar stories on there with many replies from well meaning mums trying to make her feel better but with a recurrent theme of total misconception of the role of a speech and language therapist. Unfortunately, when I tried to post to explain the moderator removed my post as 'advertising'. The consensus of opinion was that Speech and language (SLTs to help my typing rate!) DID speech work in a session, a bit like a physio session where they work your muscles maybe. They didn't seem to think they had any role apart from taking the child along. So..... let's see what we can briefly do to explain. We work with children and adults who have problems communicating. That may be a speech difficulty so that just the person's sounds are the problem, a language issue so that the person's understanding or ability to say words, phrases or sentences is affected or it may be an interaction difficulty. 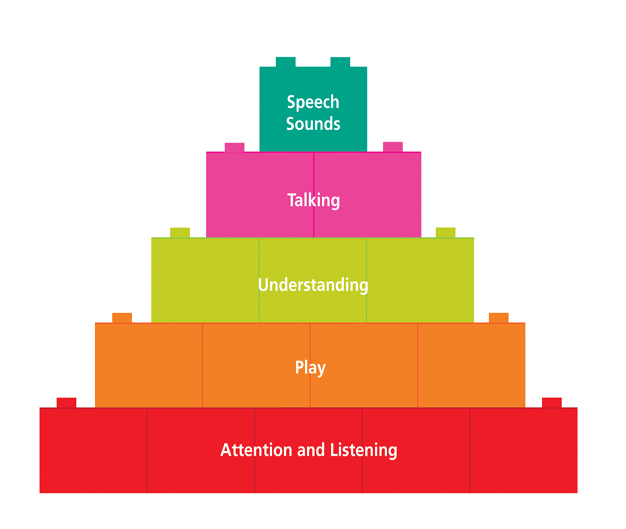 We do not just work with speech sound problems. The SLT will look at all these things before deciding on a course of action. Whatever the problem, the parent is the key in helping the child so that helping the parent fully understand the issues involved and then showing them HOW they can work on the issues in everyday, real situations is the crux of any therapy. We have designed a 10 week programme with Chuckle Productions to demonstrate what they can do at home to help their children's communication. Parents often say they are too busy but we aim to show them how they can turn every activity into a communication activity. How many times a day do we change a nappy? 5,6 more? So that's 6 potential communication opportunities! We have been commissioned by the adult education dept and will pilot it and write it up. Functional communication will always be the aim for children who are not talking. This is to help the child understand situations and to be able to tell us what they want etc. This may be to encourage pointing, using pictures/symbols or signing. Usually, if you give a child an alternative way to communicate it relieves the pressure and they often make progress with spoken language. So if your SLT seems to be asking a lot of questions and then just 'playing' with your child in the first session, don't worry she is using all her training, expertise and professional judgement to work out what best for your little one. This is a really good description of what SLTs do! As an independent SLT myself, I find that I spend a lot of time and effort helping people to understand that there's more to SLT and communication than speech sounds. 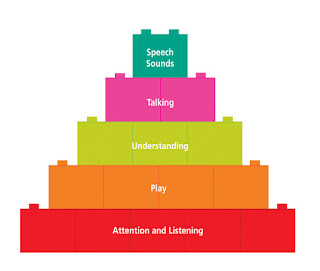 I'm in the process of building a website http://edinburgh-lothian-mobile-speech-therapy.co.uk/ just now and I really like the simple diagram you have used. Would I be able to use the image on my website? No worries if not, I do have another I can use but I like the simplicity of this one and there's no point re-inventing the wheel if you don't need to! Hi Isla, Thank you for your comment. We couldn't find who had originally done this one. ICAN now do a slightly different one as part of ELDP but they want as many people as possible to see it so wouldn't mind sharing that Im sure. You'll find the one we used on google images if you put 'smart talkers blog' in the search engine. It's easy to copy and paste then.